Texas is home to an impressive population of 190,000 registered nurses (RNs). 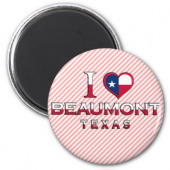 Approximately 2,500 live in the Beaumont / Port Arthur area. The area is also home to 1,260 certified nursing assistants (CNAs) and 1,170 licensed vocational nurses (LVNs). Career opportunities for nurses are promising in the Beaumont / Port Arthur area, but the field is very competitive. To get your foot in the door at the city’s top hospitals and healthcare providers, you will need the right education, experience, and licensure. Registered nurses perform a variety of duties, from administering treatment and medications to educating patients and the public about medical conditions. These professionals typically hold a two-year associate’s degree or four-year bachelor’s degree in registered nursing. They must also successfully pass the NCLEX-RN national licensure exam to begin practicing. Licensed vocational nurses care for the sick or injured under the supervision of RNs and physicians. LVNs must complete an accredited certificate or associate’s degree program in vocational nursing, and they must successfully pass the NCLEX-PN national licensure exam. Certified nursing assistants provide hands-on patient care and perform routine tasks under the supervision of more senior nursing staff. CNAs must complete an approved training program and obtain state certification. Graduates of the Beaumont / Port Arthur area’s nursing schools are prepared to seek positions with major local nursing employers. These include The Medical Center of Southeast Texas, CHRISTUS Dubuis Hospital of Beaumont and Port Arthur, Harbor Hospital, Baptist Hospitals of Southeast Texas, and Beaumont VA Outpatient Clinic. Salaries are competitive as well. Beaumont / Port Arthur-based RNs earn a median annual salary of $59,860, while local LVNs and CNAs earn an average of $36,600 and $22,030 per year, respectively. Below you’ll find a complete list of nursing schools in the Beaumont / Port Arthur area that offer accredited programs in all areas of this growing field.